In terms attracting wider UK talent, Andrew Mackenzie's Irn Brz is the leading Scottish rap battle league at the moment. 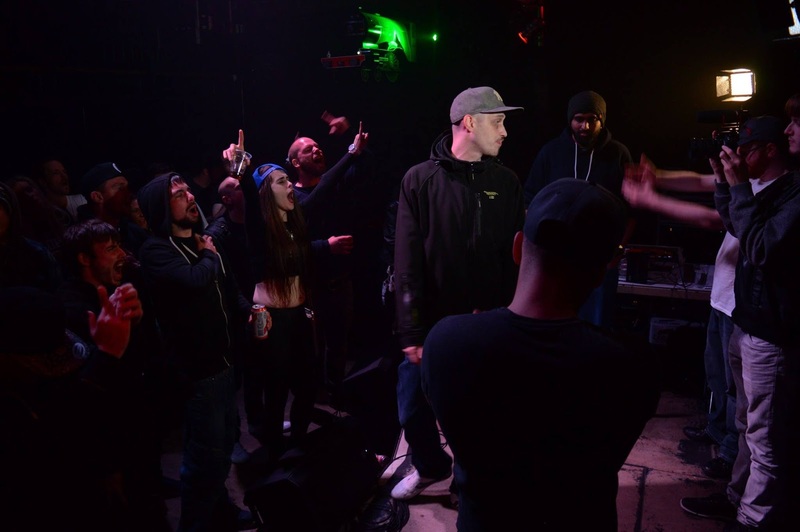 Last year's debut card featured Don't Flop leading lights Cojay and Chris Leese. 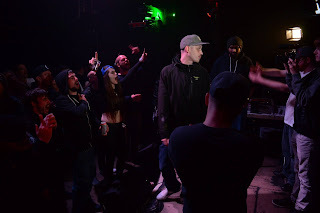 Friday's one year birthday event featured Don't Flop leading lights Bobby Rex and J Dillon. Not a bad return, all in all. Despite energetic performances from Mistah Bohze and Delivery Room between battles, there was an oddly subdued atmosphere to proceedings. The length of the event was one factor, with a chunk of the crowd heading home mid-way through the night. But there was also a series of chokes and stumbles from the battlers themselves, which didn't help morale. Manchester's Bobby Rex suffered the most damning memory slip during his headline battle with Mackenzie. After a typically confrontational first round, his second and third rounds sucked the life out the room as he fluffed his lines and attempted to ring a pal to steer himself back on track. Mackenzie flipped by commenting that he'd "already used a phone a friend and now wanted to ask the audience". Irrespective of everything else, the former King of the Ronalds champion clearly had the performance of the night. Of the two English emcees, J Dillon had the better night. Although not a vintage performance, his pun-based humour and wry observations caused some big laughs. His opponent Scott Earley had the home advantage, though, and arguably edged the clash with hilarious local references and performance antics. Veteran Wee D split opinion in his battle with relative newcomer Acre. His jokes targeting Acre's ethnicity and religion were perhaps misconstrued given his clarifications (see the video interview above), but they still struck the wrong tone in the room. Acre's content and delivery was mostly solid, especially given it was his Glasgow debut, but he was massively let down by lengthy chokes in his first and third rounds. Zee and MC Lean was another tricky bout to call. Zee's wordplay-oriented material was mostly slept on, but his jokes about Lean's weight were received better. His experience also saw him through in the third round, where he freestyled the majority of his bars. MC Lean's style was less sophisticated but also more cutting, and he already has strong projection and crowd control. The decision ultimately went his way but will inevitably be up for debate when it drops online.